Get Direct Entry Admission into 200 Level through JUPEB (Joint Universities Preliminary Examination Board) into Anchor University, Lagos - See Application Form, Eligibility, Courses and Duration, Entry Qualifications and Examination Dates for 2018/2019 Academic Session. 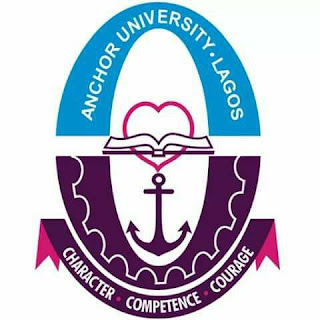 Applications are invited from suitably qualified candidates for admission into the Anchor University, Lagos through the Joint Universities Preliminary Examination Board for the 2018/2019 academic session. Applicants Gets Direct Entry Admission into 200 Level through JUPEB (Joint Universities Preliminary Examination Board). The programme is an intensive coaching curriculum aims at ensuring adequate exposure to fundamentals of concepts and preparation of eligible students for University direct entry admission and a good head-start for University work. The courses of study which are those of the Unified Tertiary Matriculation Examination (UTME) subject include Mathematics, Chemistry, Physics, Government, Account, Literature in English, Christian Religious Studies, Economics, and History. Students are required to choose any three subjects. The certificate obtained by graduates of the programme will be tenable in several universities in Nigeria and in some foreign universities. The duration of the Programme of courses for the Board's Examination is a minimum of one academic session of two semesters. You will be required to pay a NON REFUNDABLE APPLICATION FEEE OF N15,000 (exclusive of bank charges).